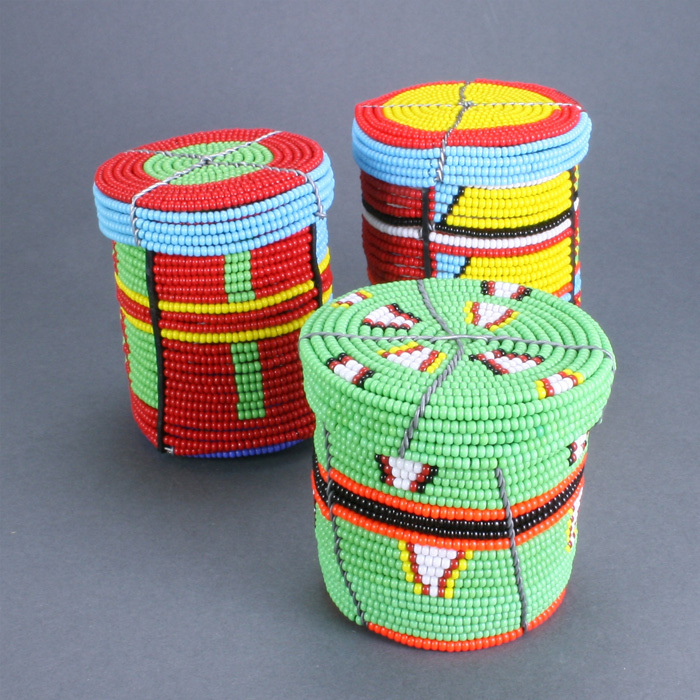 Beaded Masai Box 2.5" - 3"
Colorful bead work and the Masai of Kenya are synonymous. The Masai have long adorned themselves with these tiny glass beads fashioned into wide necklaces and tall bracelets. The same beading technique using flexible wire produce these vibrant boxes perfect for your knick knacks, jewelry, or tea candles.